...self-discipline is the ultimate goal.... That's why discipline is such an important process. Notice that word "process". We guide them with discipline from without until they can make the transition to discipline themselves from within. I had some unexpected "issues" to deal with. I know it is hard for some people to understand, especially those who are very skilled in bucking themselves up when they feel the slightest bit down or those amazing moms who don't even allow themselves to R.S.V.P. to those personal pity parties that can be so debilitating. But for those of us who tend to always look on the dark side of life, reading something like this that speaks to our hearts so clearly can at the same time convict us in such a way that is so brutally honest that it leaves scars. What I can offer is some advice to anyone who has to fight through the pangs of guilt before they can get to the resolve to change... keep reading!!! And if you can, find an optimist to read it with you. If you can't, then before you begin, resolve not to let yourself travel to that dark place in your mind that is dangerous to go into alone. Maybe begin by making a list of all of the good qualities that your children possess (and even yourself). And then, once you are finished, and the gavel has dropped on your heart (because you know it will in some way), give yourself the chance to read it again. You will find things that you never saw before... like the quote above. This is a process and if you can see yourself as a completely different person than you were ten years ago, then believe that it is not too late for you or your children. And that the biggest gift you can give them might be the ability to acknowledge which parts of your lives need some improvement.You can't change what you don't acknowledge. 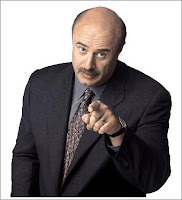 (Did not mean to quote Dr. Phil there! Honest!!!) I choose to turn the table on my pessimistic side and say "thank you" because without it, I would only be fooling myself by thinking that there is nothing for me to work on. I am not perfect and I know it. That just might be one of God's greatest gifts to me. Just below that handsome prince He gave me who so perfectly makes up for my deficiencies. I say "thank you" for him everyday!!! I'm glad you're persevering, and I appreciate the advice, because I do tend to get blue and discouraged quite easily. I'm my worst enemy! I really enjoyed this post, especially the story in the beginning. I hope you put creative and funny on your list of good qualities. I am normally an optimist, but thanks to hormones, lots of kids, and lack of sleep; I find myself in the "dark" place sometimes. Praise God for dear husbands who help us get a handle on perspective! Isn't it a blessing for a wonderful man to lift you up!! Loved your post. My first reaction to the post was 'stacking' too - and feeling totally overwhelmed. But my Prince Charming helped me get all rational - and I have now moved to picking "one habit" for each child - and one for myself - to work on. I am so grateful for summer vacation to work on all of these things. I printed out the E-Book before our trip, and have yet to start reading it. I think I would probably have had a similar reaction from the sounds of it. Oh, and I agree with Cheryl, you have so VERY MANY wonderful qualities! And how sweet of your hubby to react like that, what a blessing!